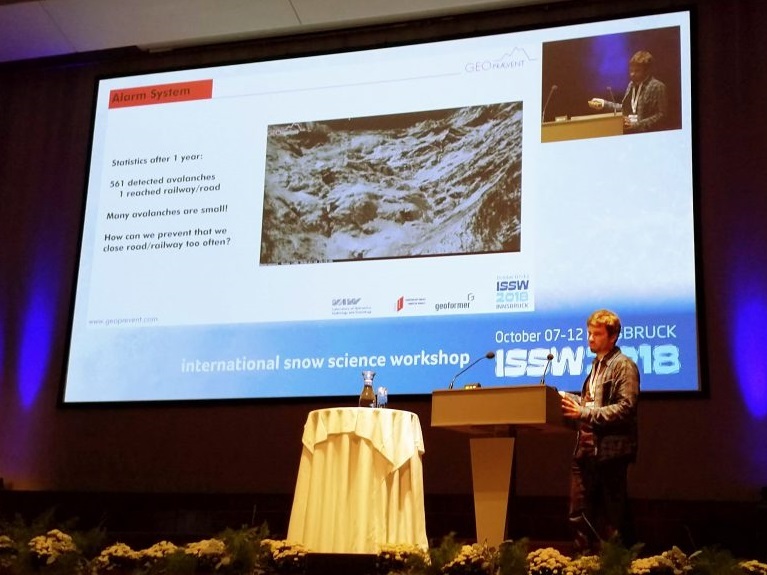 The 22nd ISSW (International Snow Science Workshop) took place in Innsbruck from 7 to 12 October 2018. 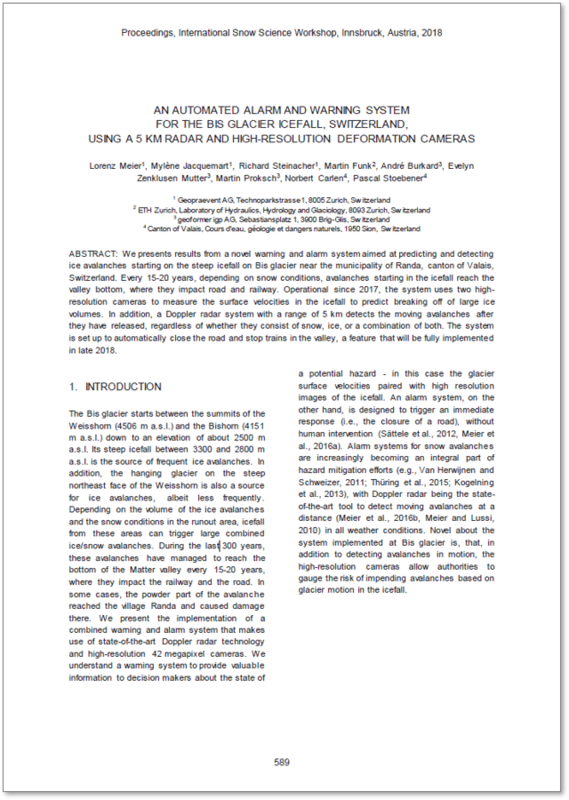 The world’s largest conference in the field of snow and avalanches brings together practitioners and researchers from all over the world every two years. 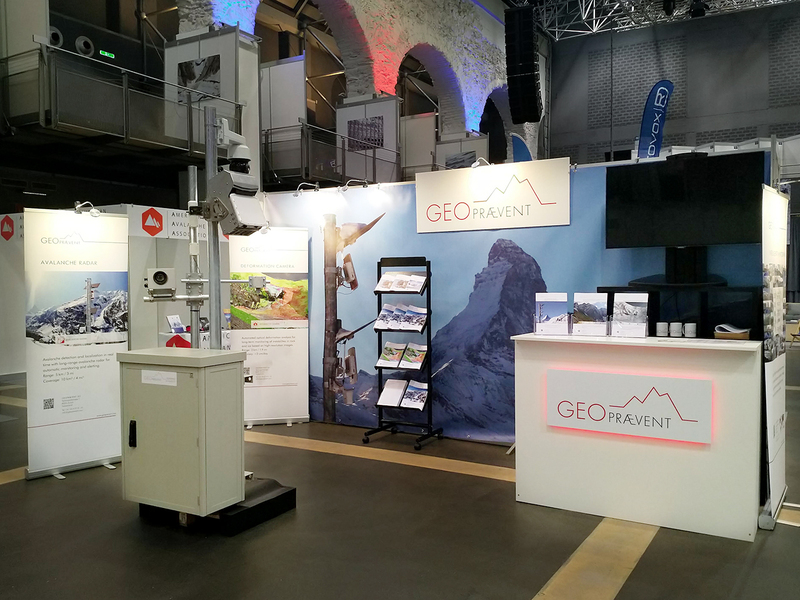 As a main sponsor, Geopraevent was at the conference all week with an exhibition stand and several scientific contributions. 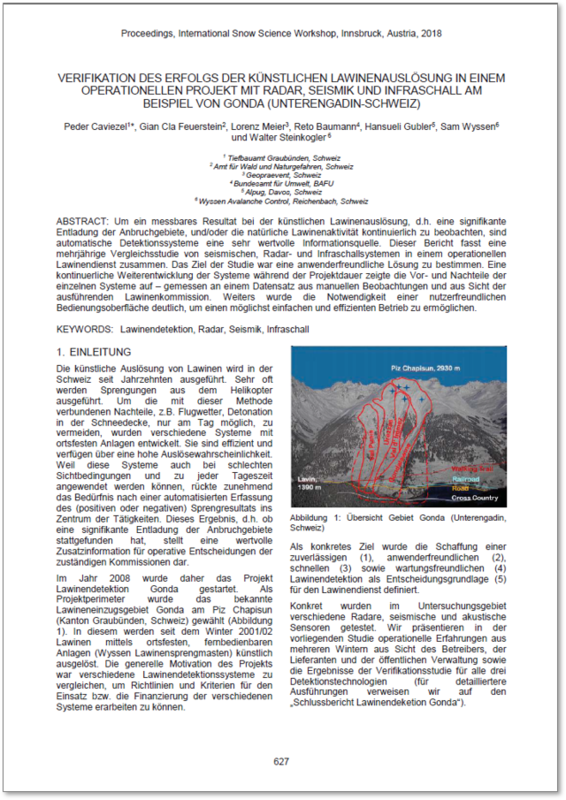 Our CEO, Dr. Lorenz Meier, presented our avalanche radar system in Randa for automatic ice avalanche detection up to 5 km away as well as the monitoring of the Bisgletscher with our deformation camera. He explained the tricky task of automatic road closure and at the same time avoiding too frequent closures. 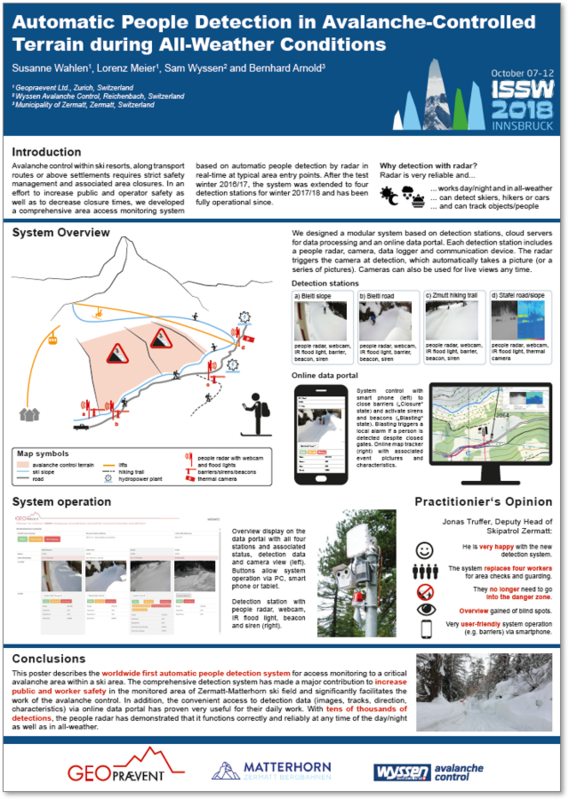 In addition, we presented in two posters the automatic people detection system in Zermatt for area access monitoring for artificial avalanche triggering and the monitoring of the Weissmies glacier with prediction of the failure event in September 2017. 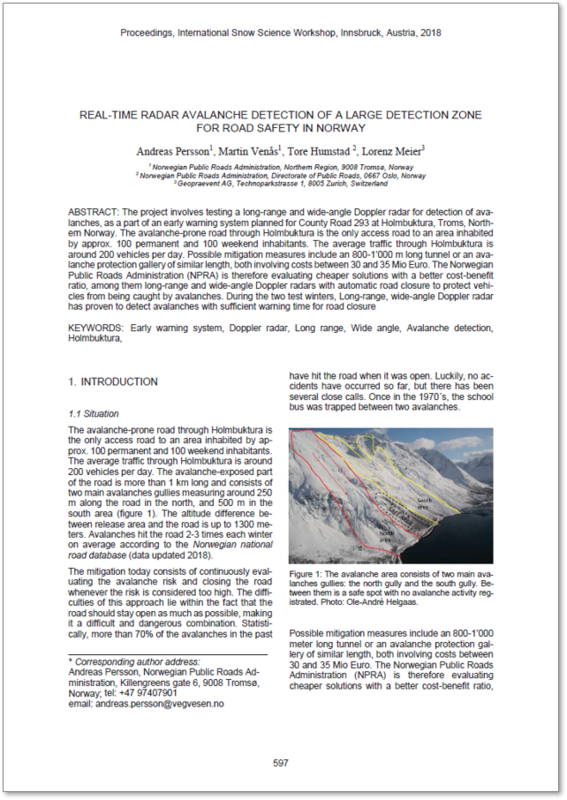 Further, the Norwegian Road Authority presented their avalanche problem in northern Holmbuktura and the solution with the Geopraevent avalanche radar. 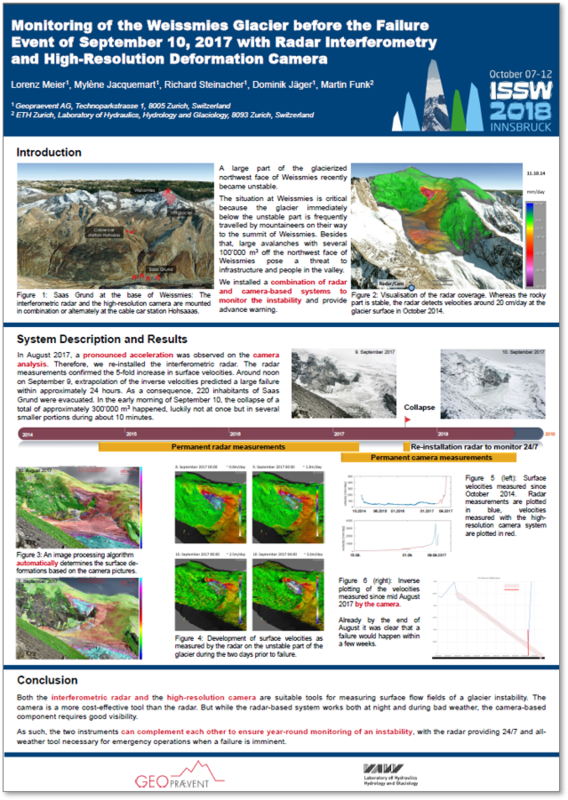 In another exciting presentation by a practitioner, the Graubünden Road Authority (Switzerland) reported on their experiences with various detection systems for success verification in artificial avalanche triggering at Gonda, including our avalanche radar. 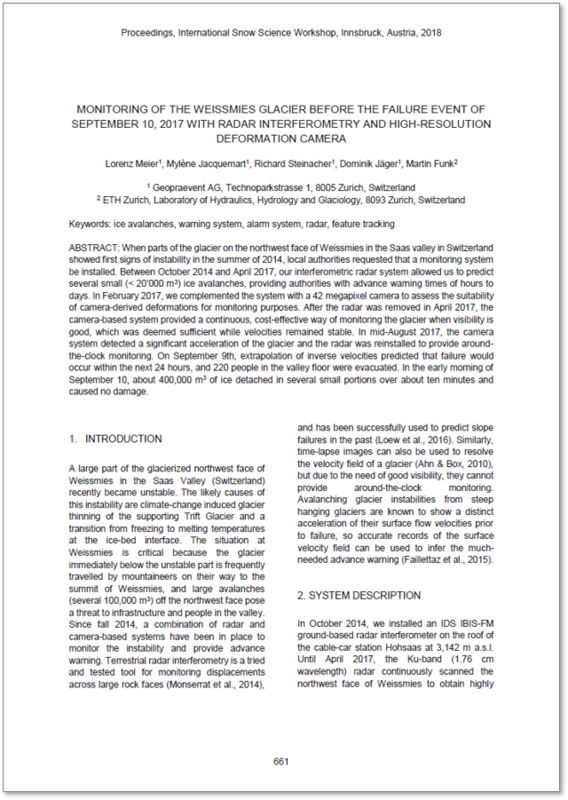 Read more in the Extended Abstracts. 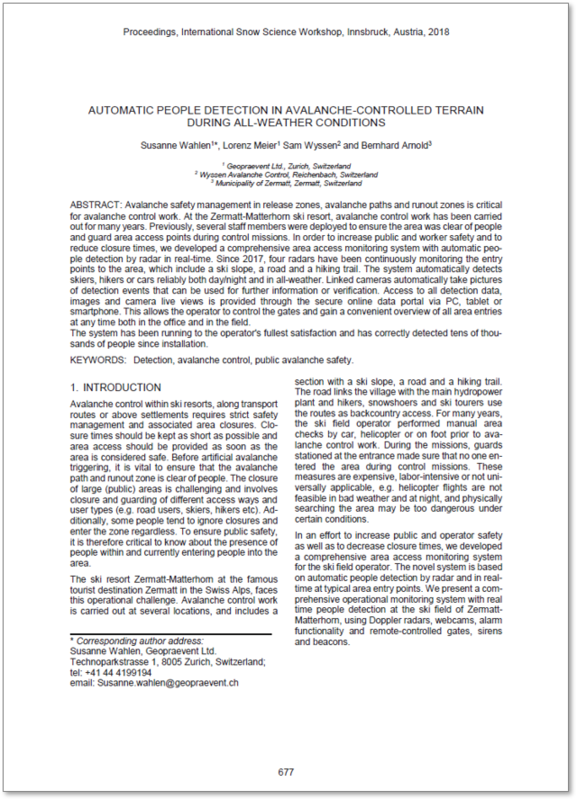 Geopraevent develops, installs and operates alarm and monitoring systems for natural hazards.